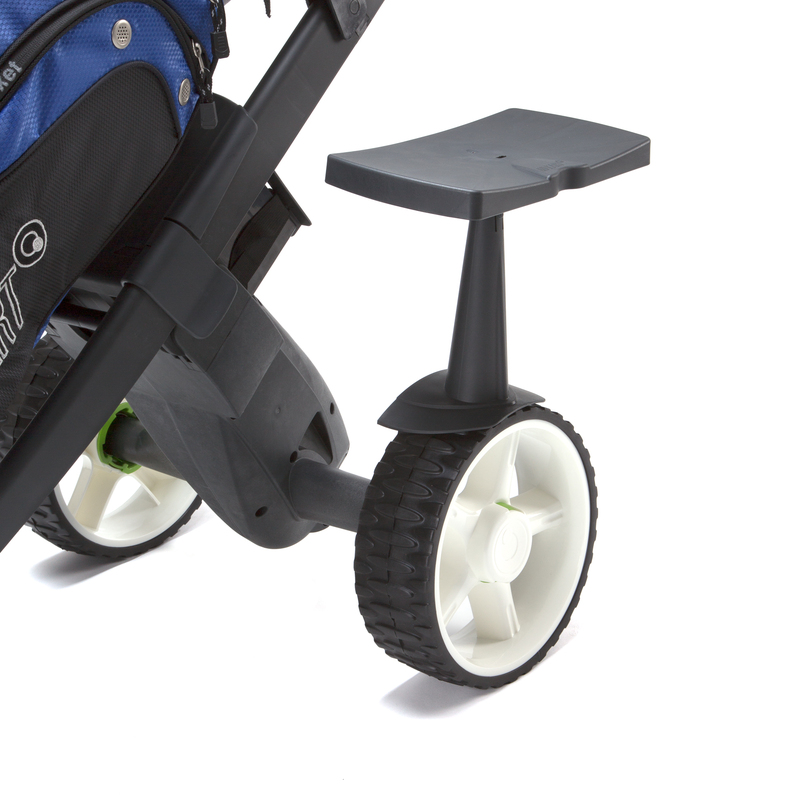 The GoKart golf trolley seat is a neat and lightweight accessory that attaches to the side of the trolley. When you’re on the move, the spring loaded action keeps it hovering over the wheel. When you want to take the weight off, it simply rests on the wheel. After your round, the seat can be uncliped before folding the trolley. Simple but effective. Please note, the seat is not compatible with our Hedgehog wheels.